Broadie with the Dean's Award for Innovation in the Curriculum, recognizing his work in designing and developing the material for the Decision Models core course and his teaching of the popular Security Pricing elective course. Former Columbia MBA Security Pricing students form the winning team. 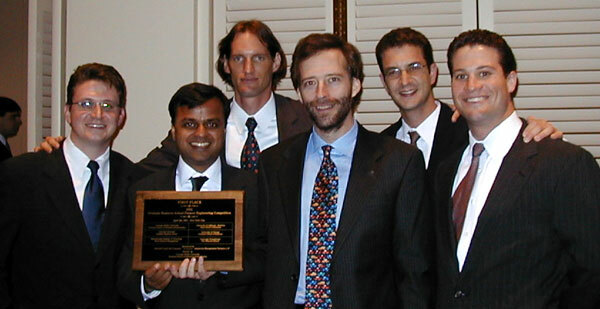 Left to Right: Peter Polanskyj, Shalabh Garg, Guy Shahar, Mark Broadie (faculty advisor), Michel Montvelisky, and Kai Hankinson. April 6, 2001. The other teams competing were: Berkeley, University of Chicago, Carnegie Mellon, MIT, and Wharton. Chicago came in second place. The case required the teams to create and price a structured equity derivatives product. It was motivated by a real problem faced by a client of Merrill Lynch. Columbia Business School's core Decision Models course was adapted for online education by UNext, a leading internet education company and the main developer for Cardean University. Mark Broadie and Sebastian Ceria were the principal faculty developers for the online course. June 2001: Columbia's Executive Education offers the course Measuring and Managing Market and Credit Risk. The intensive two-day course covers the latest models and methods for assessing and controlling market risk and credit risk. The course was delivered by Columbia faculty members Mark Broadie, Paul Glasserman, and Suresh Sundaresan. 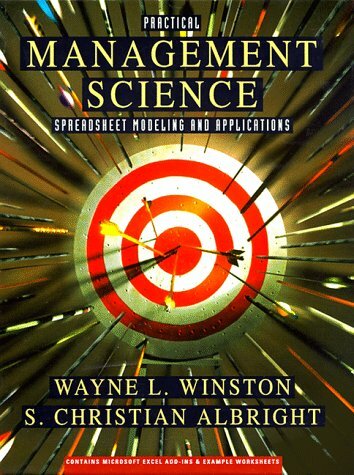 Cases written by Mark Broadie are included in the bestselling textbook Practical Management Science written by Wayne Winston and Chris Albright and published by Duxbury Press. First edition shown on the left; second edition on the right. Selected cases are also included in the textbook Data Analysis and Decision Making with Microsoft Excel.